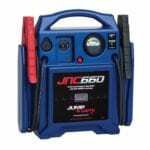 6 What customers say about JNC660 1700 peak Amp 12-Volt Jump Starter? If you have read some of our previous reviews you would notice that we were emphasizing the size of mini jump starters we reviewed. All of them were literary pocket-sized devices based on lithium ion battery. This JNC660 Jump-N-Carry jump starter is not such device. 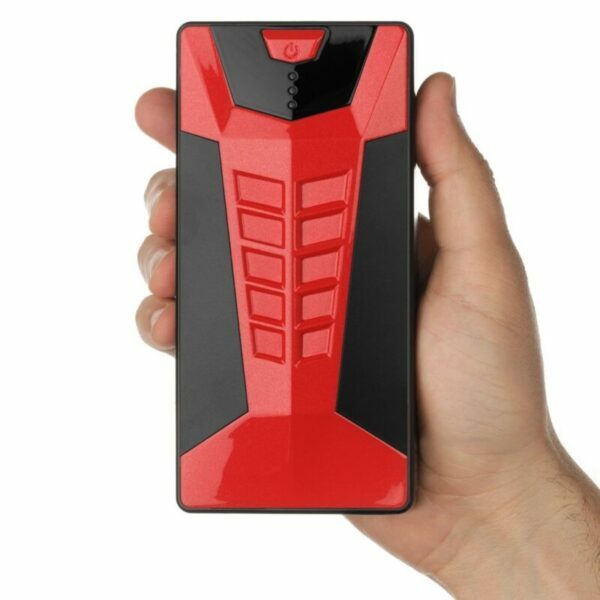 This portable jump starter definitely is bigger and heavier but you have to understand that this one is way much powerful and stronger than all of them. It is a size of a suitcase and actually, it looks just like that. nd nicely wrapped around this device look pretty much nice and handy despite his size. An important feature of this portable jump starter is a fully replicable Clore PROFORMER battery. These batteries are designed for maximum power density and durability, which results in exceptional cranking power, extended cranking duration, and a long service life. It is well-known fact that larger diesel engines require more cranking power to start. 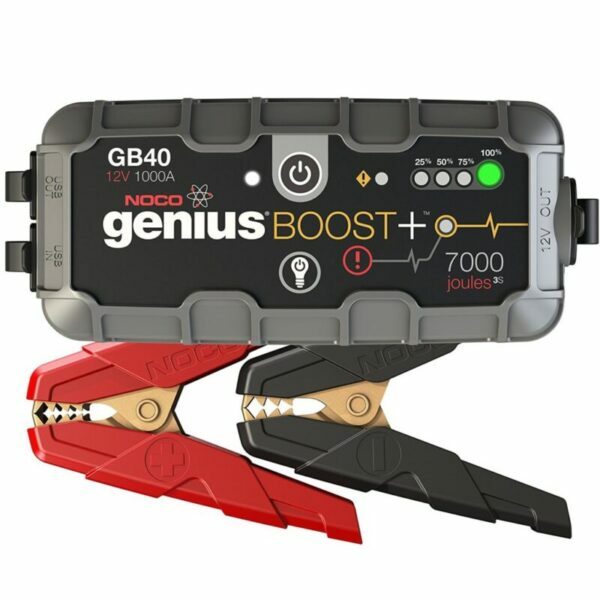 As mentioned earlier on this post this portable jump starter is very powerful device and can be used to jump-start diesel 8L engines or heavy-duty trucks. Sometimes even smaller, less powerful cars and engines require a high boost of Amps before they can start especially during cold winter days. 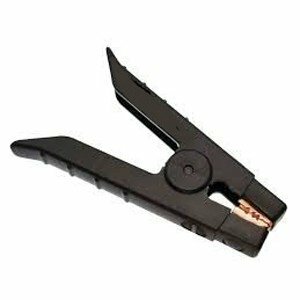 With Jump N Carry JNC660 you will NOT have a drained battery problem again that is for sure. With 1700 peak Amps and 425 Cranking Amps you can start SUV or any big diesel engine with no problem as we tested it on our diesel SUV and didn’t have any problem even our 12V battery was completely drained. 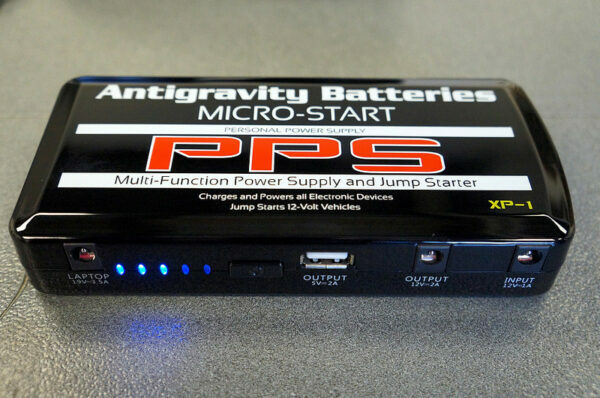 All you need to do is to check if your portable jump starter is fully charged in order to perform full power to the battery, connect the clamps on correct way (check this article if you are not sure how to do it) and when all is ready to go turn your key to start the car. Voila! That’s it. Simple and easy. A 1700 peak amp is enough to start a dead cow if you ask me so I am sure you will not have a problem to start whatever vehicle you own even in cold winter days. What I liked most is the length of jumper clamps. Ah man what a relief when you can manipulate with those and it makes it much easier to connect to the battery. Also quality is very good I have to say but I guess it has to be because with such power they would melt easily which is dangerous as well. After you start the engine (I don’t doubt you will) just carefully detach clamps and let the engine fill the car battery. 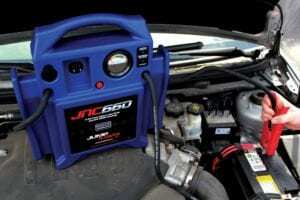 Another thing that can be done with JNC660 is simply to charge a dead battery. Simply connect it to a drained battery and let it charge it (needs approximately 2h to charge fully drained 12V battery. Jump N Carry JNC660 is well-made jump starter. 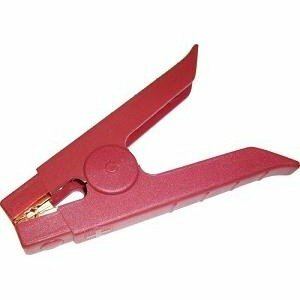 Hard plastic housing and quality jumper clamps make this device safe to use. 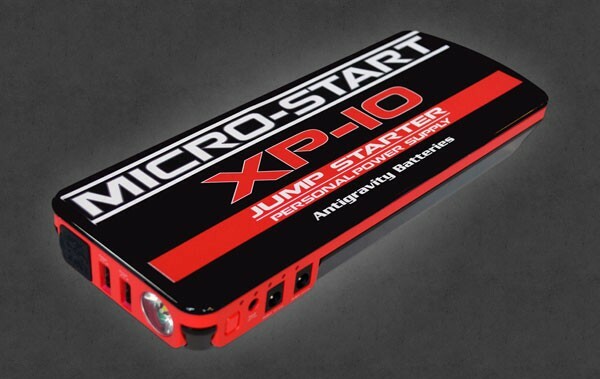 This is important when you use it of course, but also a great thing about this jump starter is that you can leave it plugged in while charging and it won’t get damaged as it has a voltage regulator built in. Nevertheless, it is even recommended to keep it constantly charged not because you need it but because of the battery health. The battery inside is replaceable as well as the jumper clamps and that is a great thing. These features make this jump starter even more confident and it is no wonder why it is so well rated and popular among customers of all profiles. What customers say about JNC660 1700 peak Amp 12-Volt Jump Starter? Main reason we picked this portable jump starter to review is because of his remarkable reputation. We were witnessed of his great power and quality made. It started 8l diesel which means it can start almost any vehicle you can attach it to. In this part of the review, we would like to share some of these feedbacks. 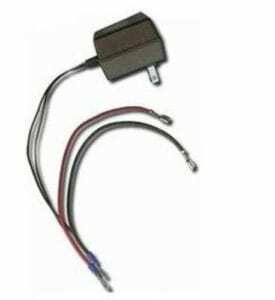 An important thing to mention is that most of the customers who reported problems solved the issue by contacting the manufacturer (Clore Automotive) and their broken or non-functioning jump starter was replaced with a new one. We were not left disappointed using JNC660 that is for sure. It did his job pretty well. Jump started an 8l diesel truck with an ease. 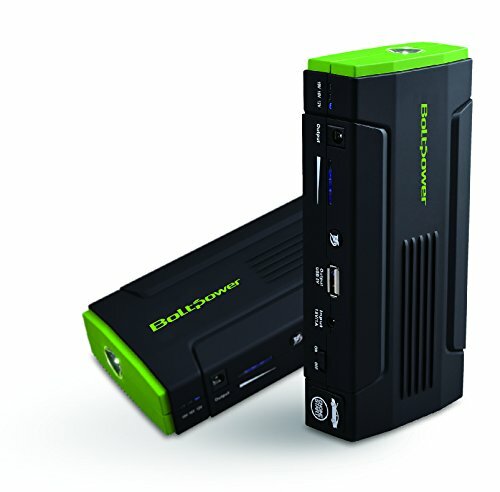 We were satisfied with almost every feature of this portable jump starter. Power is remarkable (425 cranking amps and 1700 peak amps) and it is quality made. Compared to mini jump starters it has some cons. 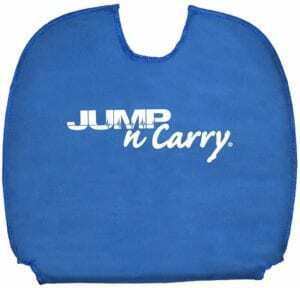 For example, it is much bigger and heavier so it has to go into trunk and glove box is too small for this big fellow. It has no USB outlet not flashlight like most of the mini jump starters. 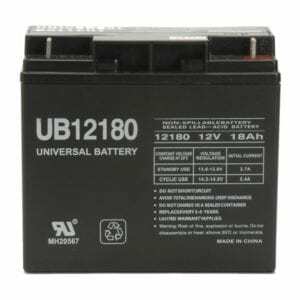 This fact makes it specialized for 12V accessories and a function of a jump starter. 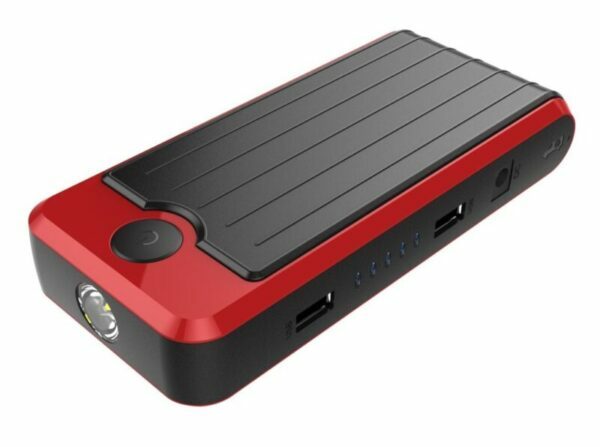 This is not so bad, in fact, this means it is specialized to be jump starter and it does his function pretty good. Keep it fully charged and he will not fail you!